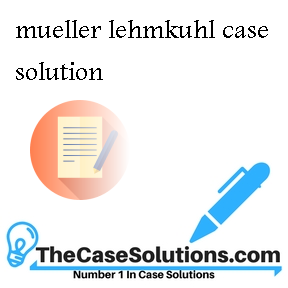 Mueller-Lehmkuhl (ML), a producer of apparel fasteners,wasfounded in 1876. The company was initially incorporated as a manufacturer of shoe accessories. After the merger of the company with Weiser and felixLehmkuhl, the company has started manufacturing and selling a wide spread diversified product lines. In 1982, the company formed a joint venture with the well renowned and well established multinational company ATLAS. The company formed joint venture with a German subsidiary of Atlas. This venture has enhanced the scope and exposure of the operations of the company. 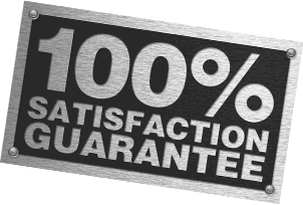 Moreover, the company has earned the confidence and satisfaction of its customers by selling high quality products as well as providing and facilitating its customers with exceptional customer care services. The company has expanded its size of business by penetrating into different markets. This has made the company one of the leading apparel fasteners. Currently, a Japanese firm, Hiroto Industries hasentered into the market. Taking advantage of the low cost and low wage in the country, Hiroto has introduced its products in competition to ML at a very low price. Although the products of HI do not bear the excellent quality as ML, but still the top management of ML is considered that if HI manage to enhance its quality at the same cost, then there is a threat that the company might lose its potential customers and client base, as they would be shifted towards the products of HI. The top management of the company is currently considering the new effective costing systems which could reduce the prices of its products without compromising the quality. This will help the company in competing strongly against HI. The case depicts that the company is making different strategies in order to compete strongly against the Japanese competitors. The company has completely changed its old costing system in order to minimize its costs. Themajor problem of the company’s old costing system is that the costing system consisted of 70 different cost centers but these cost centers are not enough to allocate the costs properly to the products. The company has set up new costing system, consisting of more cost centers, which allocates the cost to the relative products by using absorption rates. This costing system is known as absorption costing system. In this costing system, all the indirect costs are added into a single pool, forming a cost pool. Then a single cost overhead rate is calculated called blanket overhead rate. This rate is applied to the specific products on the basis of their relative cost drivers. In the new costing system, the overall cost overheads are distributed into 2 overheads, namely machine overheads and general overheads. The machine overheads relates to all the production costs such as labor and materials and are added directly to the production cost of the product on the basis of their respective and appropriate cost drivers. On the other hand, the general overheads consists of selling and admin overheads which includes the cost of factory supplies, technical administration, machine departmental costs and tooling departmental costs. Hence, using this system will allow the management of the company to effectively allocate the respective costs to the products as well as the company will be able to eliminate the un necessary costs of the company. The company has also adopted batch as it appropriately fits with the nature of the business. Since, the company produces its products in batches so this will allow the company to trace and analyze the costs of separate batches. ML is a well renowned company and after creating joint venture with, a German subsidiary of a well-established multinational company, Atlas, the company has robustly increased its operations. The company works in a highly competitive industry, by selling excellent quality products and providing exceptional customer care services, the company has gained the customer satisfaction and customer loyalty towards the company.